Astronomers have caught a galaxy in the act of recycling material that it previously threw out, which may explain the discrepancy. New observations provide the first direct evidence of gas flowing into distant galaxies that are actively creating baby stars, offering support for the galactic recycling theory. Our Milky Way galaxy seems to turn about one solar mass’ worth of matter into new stars every year. Yet our galaxy doesn’t have enough raw material, such as gas and dust, to keep this up for more than a couple of billion years, according to studies. And observations of many other galaxies suggest that the Milky Way is rather typical in this regard. According to the recycling theory, the Milky Way and other galaxies may be gathering back mass that they previously lost to support their star formation habits. Scientists suspect that processes within galaxies, such as the supernova explosions of dying stars, as well as the force of radiation from bright stars, expel gas out into space. Researchers had questioned whether galaxies’ gravity would be enough to pull it back in, especially in the cases of distant galaxies that seem to push out gas with great force. 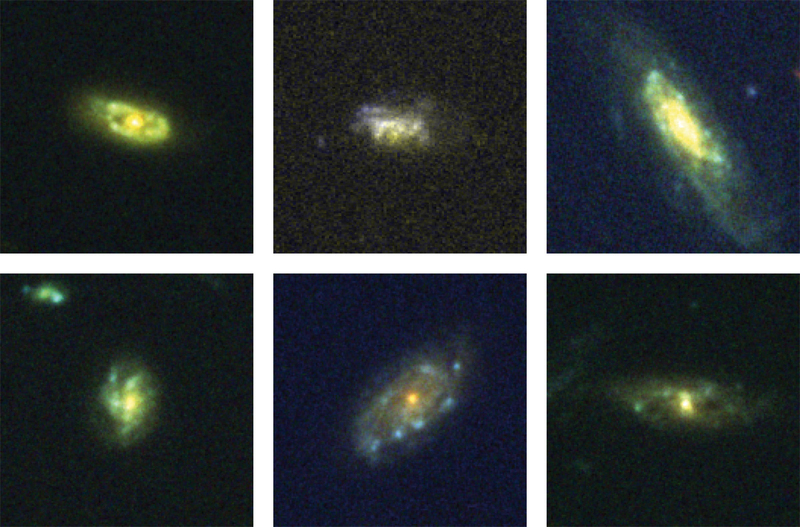 In the new study, astronomers led by Kate Rubin of the Max Planck Institute for Astronomy in Germany used the Keck I telescope on Mauna Kea in Hawaii to observe 100 galaxies between 5 and 8 billion light-years away from Earth. For six of those, the researchers found evidence of gas adrift in space flowing back into those galaxies. According to a Max Planck Institute for Astronomy statement this is a key piece of the puzzle and important evidence that cosmic recycling could indeed solve the mystery of the missing raw matter.